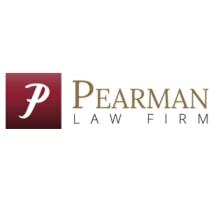 Located in Wheat Ridge, Colorado, the Pearman Law Firm is committed to protecting its clients' interests by providing high-quality legal services backed with integrity and commitment. Our law firm represents clients in the legal areas of family law, criminal defense, bankruptcy, estate planning, business law, real estate, personal injury and civil litigation. Our law firm is led by a team of experienced and competent attorneys who pledge to put your interests first, no matter how straightforward or complex your legal issue may appear. We take time to go over our clients' goals, provide a realistic forecast of what can be expected and offer guidance throughout every step of the legal process. Our clients will never leave our office with questions. Many of our clients come from referrals from clients we have previously represented, and we are known throughout the community for our superior level of service. The attorneys at our law firm take a proactive, explanatory and individualized approach to helping our clients resolve their legal issues, whether that is in family law, criminal defense, bankruptcy, estate planning, business law, real estate, personal injury or civil litigation matters. To schedule an initial consultation, we invite you to contact our law firm to speak with one of our lawyers. We speak Spanish and Portuguese. We are happy to schedule consultations at your convenience in all our legal practice areas. Free Phone Consultations.